Home Dental Health What Does an Effective Daily Oral Health Routine Look Like? You want to take the best possible care of your teeth for a lifetime of great oral health. Preventing tooth decay and gum disease should be on everyone’s priority list, which makes taking care of your teeth all the more important. But what does an effective daily oral health routine look like? Is brushing and flossing all there is to it? The following pointers can help you compose the best oral health routine that’ll impress your dentist during your next checkup! While brushing your teeth two times a day for two minutes isn’t news to anyone, the quality of your brushing should be adequate enough to prevent oral disease. toothbrush. Toothbrushes with stiff or hard bristles can damage gum tissue and tooth enamel, so go for soft and brush carefully, not aggressively. enamel is porous and can become softer after eating, especially if you eat acidic foods such as sweets or citrus fruits. You should wait at least 30 minutes after eating to brush, although the American Dental Association advises a 60-minute wait . Flossing is often overlooked when it comes to oral care but so important. Since it’s impossible to reach all the surfaces of your teeth with a toothbrush, flossing helps to clean the surfaces in-between teeth to remove plaque and bacteria that can lead to tooth decay. You should floss once every day, gently and carefully in-between every tooth. Being gentle can help minimize any injury to the gumline; you should never floss aggressively as this can hurt gum tissue and even contribute to gum recession. Be sure to get in hard-to-reach places; just because you have trouble getting into an area with your floss isn’t an excuse to skip it! Brushing your tongue is another component of oral care that many people neglect to do. Using a tongue scraper or your toothbrush can help remove bacteria from your tongue, especially those that cause bad breath . You can purchase a separate tool for this practice such as a stiffer toothbrush or a tongue scraper. However, remember there’s no need to overdo it, a gentle scraping is all that’s needed to remove excess bacteria! The role of diet in the health of your smile can’t be overstated. Be sure to eat nutrient-rich foods such as leafy greens and get enough vitamins and minerals to support healthy teeth, such as calcium. It’s also important to minimize your intake of refined sugars. In particular, soft drinks have been shown to contribute significantly to tooth decay . Remember not to skip the dentist even if you do take good care of your teeth. Regular checkups can help prevent tooth decay and gum disease and professional cleanings can help complete your oral care routine by removing plaque from difficult places. 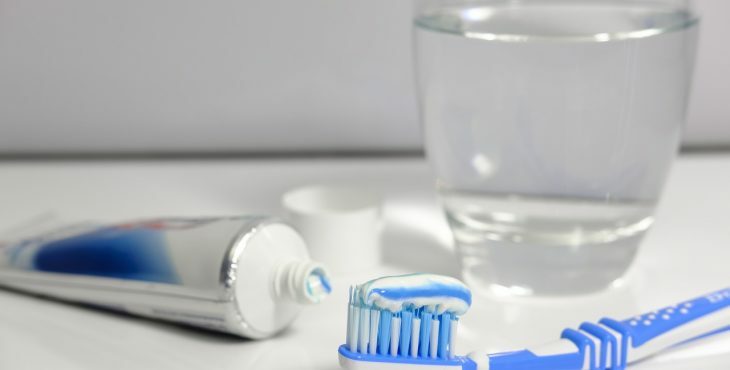 Do you have an effective daily oral health routine in place? By following the above guidelines, you can ensure your smile is strong and healthy for life! Next articleWhy Do We Have Wisdom Teeth?